Tronsmart Element T2 comes in a tough and nice packaging. Well protected no doubt. 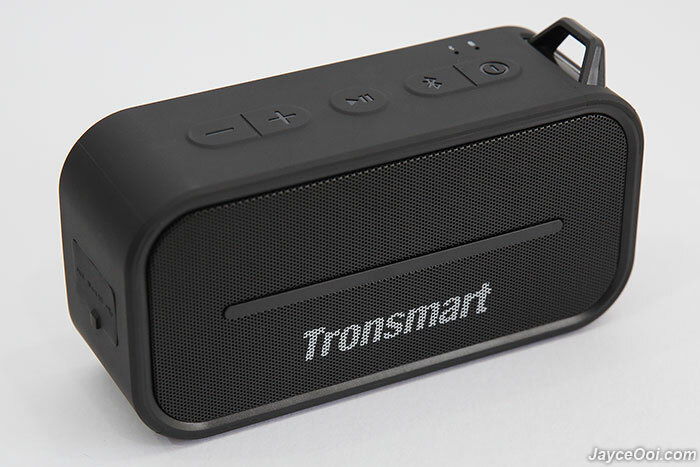 And it surely is an outdoor Bluetooth speaker too. Why? There are stylish carabiner and durable lanyard for you to attach speaker to your backpack or anyplace you want. 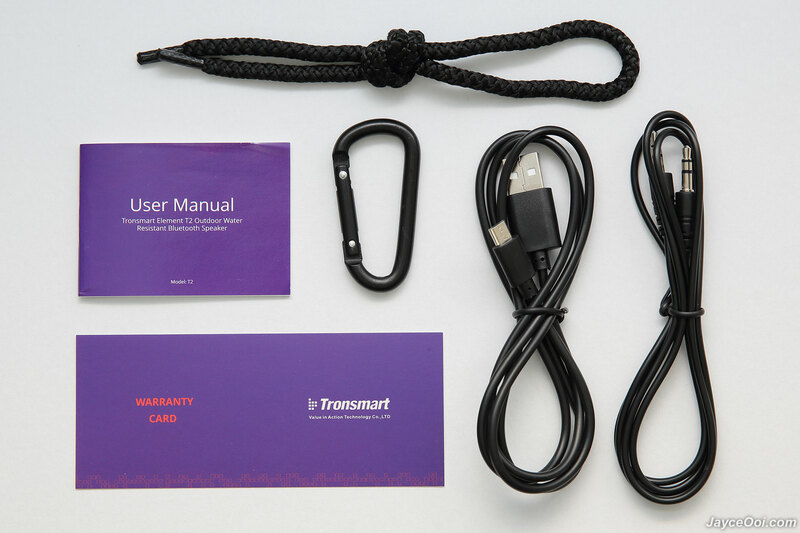 Of course, there are the usual 3.5mm audio cable, micro USB charging cable, warranty card and user manual (in multiple languages). Tronsmart Element T2 has the best Bluetooth range among all my Bluetooth speakers. 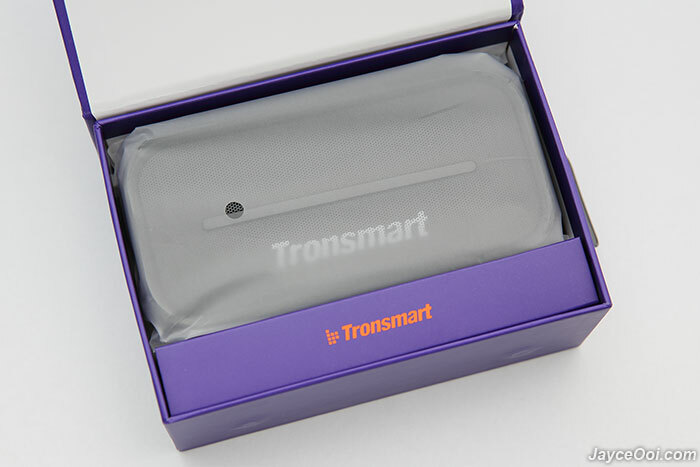 Well done, Tronsmart. Easily passed the 10m Bluetooth range in straight sight line with no obstacle test. And up to 8m+ with obstacles like walls. 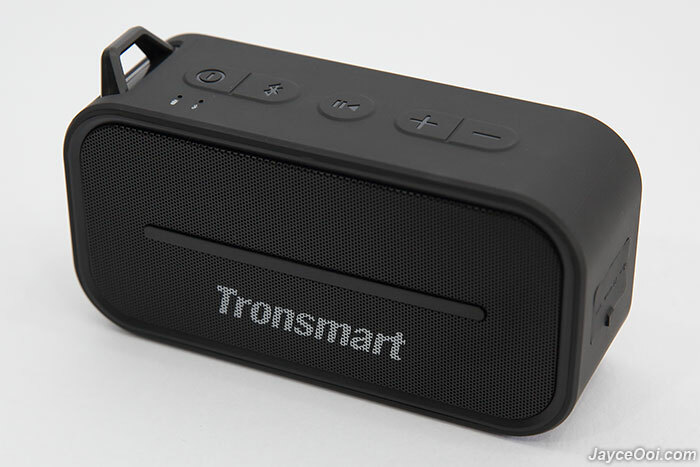 As for True Wireless Stereo function, it is working excellent. Pairing Element T2 speakers with TWS is really simple with just a single button. And you can place them far away (more than 7m) to enjoy the true stereo effects. Furthermore, it has virtually no lag between video and audio for iOS and Windows PC (Android devices have slightly lag). It’s my current sound system for Jumper EZbook 3 Pro budget Ultrabook on the go. 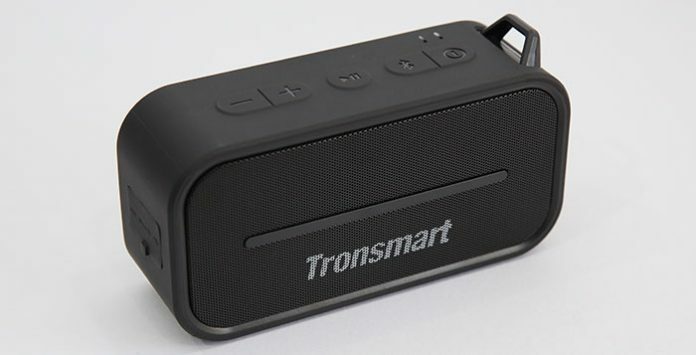 Great for movie, games and music no doubt. 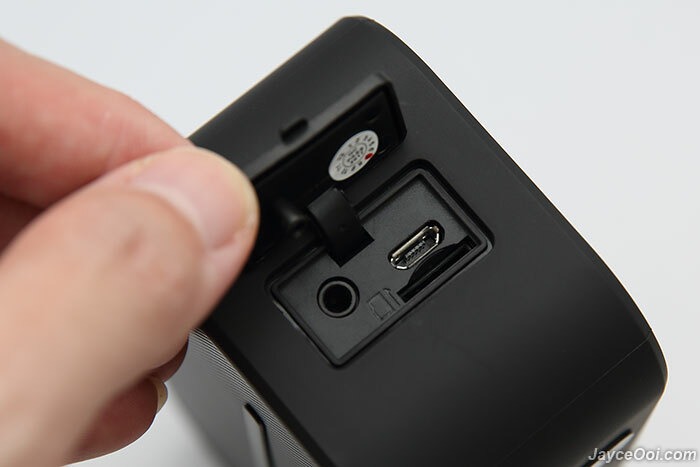 As usual, there is AUX in port for non-Bluetooth devices. 24 hours non-stop music playback on 1900mAh battery. Yup, that’s the test done with 1 Element T2 speaker on average room sound level. As usual, battery life will be shorter when play louder. And longer if you pair 2 of them. In short, it has more than enough battery life for whole day entertainment. And requires around 3.5 hours for self fully charged. By the way, there is battery life indicator on both iOS and Android devices. And the LED light blinking red and blue with beep notification sound when battery is low. Speakerphone is supported for conference call in a small group. Or you can use it as hand free mode. Phone call quality is good. Other can hear my voice loud and clear. Same apply to myself too. As usual, closer to microphone == clearer voice. Before I forget, Element T2 has built-in MP3 player too. 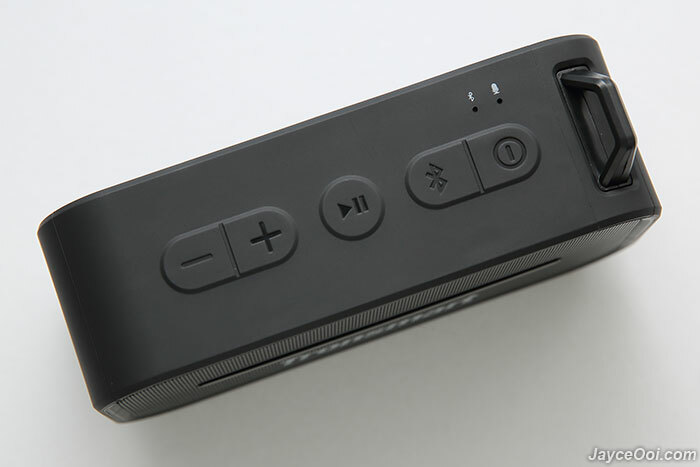 It will start playing your favourite songs right after plugged in micro SD with MP3. And IPX56 waterproof rating is great to protect it from water splashes and raining. It’s all about bass? Not quite, but Tronsmart Element T2 does have powerful bass for its compact size. Balanced toward warm sound signature is what you will get. Highs are smooth and no harsh at all. Details are there but not as much when compare to bright sound speaker. Mids are decent with clear and organic vocals. Bass is the star. Powerful yet in control. Furthermore, it can go really loud without any distortion. That’s great! Songs like Michael Jackson’s Billie Jean, Beat It and Black or White surely get different feel with it. 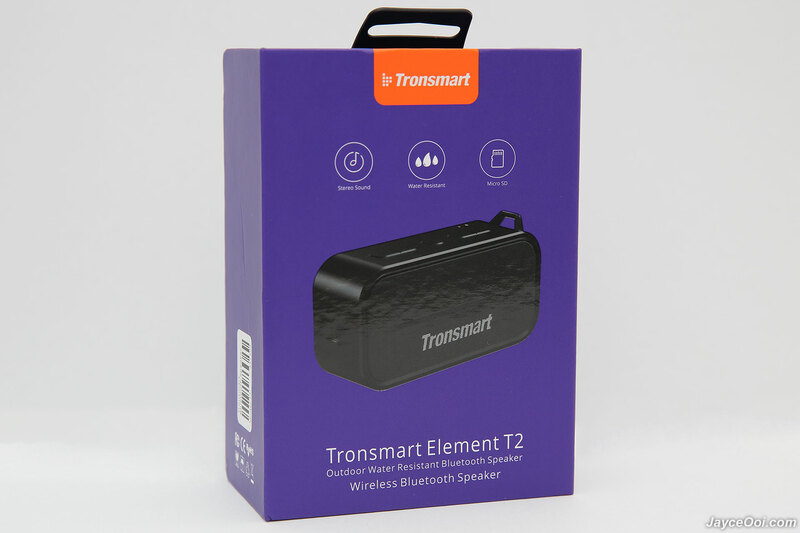 For budget Bluetooth speaker, Tronsmart Element T2 has wonderful sound for its price. Period. Excellent Bluetooth range and battery life too. Be sure to grab a pair to double the joy. 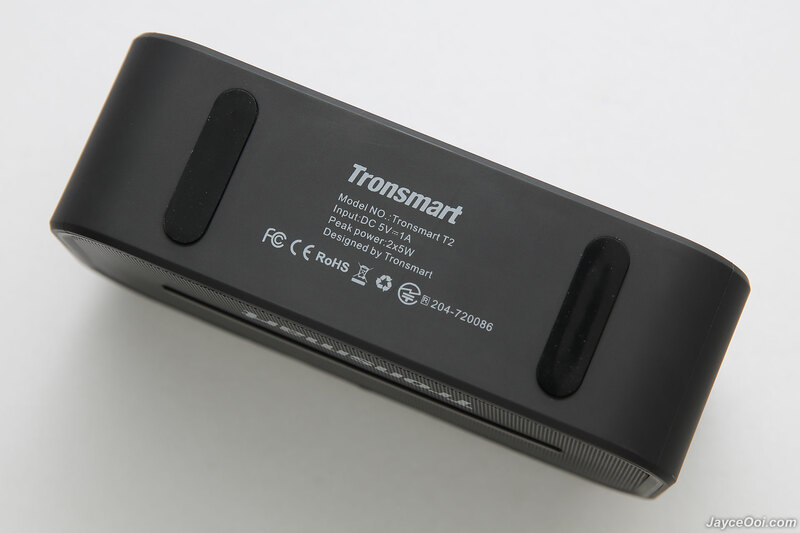 More information can be found at Tronsmart Website. And get yours at Amazon.